1.9 mil polypropylene film tape with synthetic rubber resin adhesive. 1.9 mil, clear polypropylene film tape with synthetic rubber resin adhesive. Good adhesion and backing for many box sealing applications. Hot melt adhesive carton sealing tapes offer the widest range of application flexibility available. They offer excellent processing performance whether manually or automatically applied. Their superior strength, adhesion properties and holding force ens ure consistent, reliable seals. Production Grade, hand roll. Tensile Strength MD: 28#/in. Peel Adhesion (oz/in): 32. Elongation (%): 90-100. Excellent processing performance whether manually or automatically applied. Their superior tensile strength, adhesion properties and holding force ensure consistent, reliable seals. Noted for quiet release and easy unwind. Peel Adhesion (oz/in): 54. El ongation (%): 120-150. Extra heavy duty, hand roll. Tensile Strength MD: 35#/in. Intertape AC15 Utility Grade Duct Tape - 48mm x 60 yds. This product has good conformability, is water-resistant and tear-resistant. Ideal for retail and non-critical applications. Tensile Strength: 18; Thickness: 8.0 mil; Silver. Adhesion (oz/in): 54. Elongation(%): 18.0. Coated with a high grade acrylic adhesive designed for box sealing and packaging applications. Exhibits a controlled whisper-quiet unwind. The adhesive system provides reliable all-temperature box seal performance. Long shelf life. Clear tape won't ye llow. Thickness: 2.0 mil. Crepe paper, coated with rubber based pressure-sensitive adhesive. Designed primarily as an all-purpose product for non-critical applications. Interior paint masking, Silk screening, mail rooms, golf club shaft (build-up), school bids, and for light-duty bundling, packaging, splicing and tabbing. Thickness: 5.0 mils; Natural. Tensile lb/in. : 18.5; Elongation (%): 6.5. Adhesion to steel (oz/in): 47. Intertape 534 Flatback Tape - 24 mm x 60 yds. The industry standard. Meets U.S. Postal + UPS requirements. Medium grade. 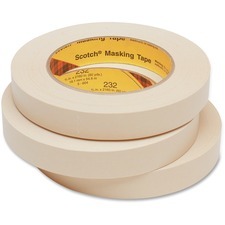 A natural-color kraft paper tape considered the industry standard has wide consumer recognition + acceptance. 7.0 mils thick, 39#/in. tensile. Elongation (%): 7.0. Adhesion (o z./in. ): 50. 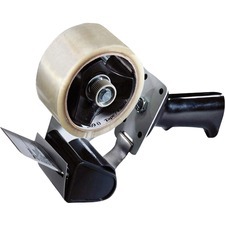 Based on tough BOPP film, with strength in both machine and cross directions, and coated with a high grade "hot melt" adhesive system, this product has been designed as a high performing packaging, laminating and label protection tape. Peel Adhesion (oz./ in. width): 27. Tensile Strength MD (lb./in. width): 24. Elongation % at Break MD: 90-100. 1.60 mil. 18 rolls per case. 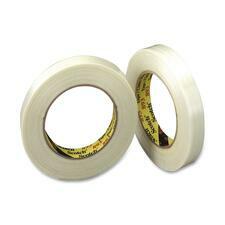 General purpose tape for light to medium duty packaging and strapping. Strong flexible polyester film for moisture, chemical, and abrasion resistance reinforced with uni-directional fiberglass filaments and coated with natural rubber adhesive for versati le performance under a wide range of application conditions. General grade. Multi-purpose. The industry workhorse! For light-medium duty use, PET. 4.9 mils thick, 131#/in. Tensile. Elongation (%): 3.0. Adhesion (oz/in): 41. Designed for non-critical light duty packaging and strapping. Strong flexible polypropylene film for moisture and abrasion resistance reinforced with uni-directional fiberglass filaments and coated with an aggressive "solventless" synthetic rubber adhesi ve. Elongation (%): 3.0. Adhesion (oz/in): 55. Utility grade. Performance at a competitive price! BOPP (Bi-Axially Oriented Polypropylene backed). 4.0 mils thick, 98#/in. Tensile.